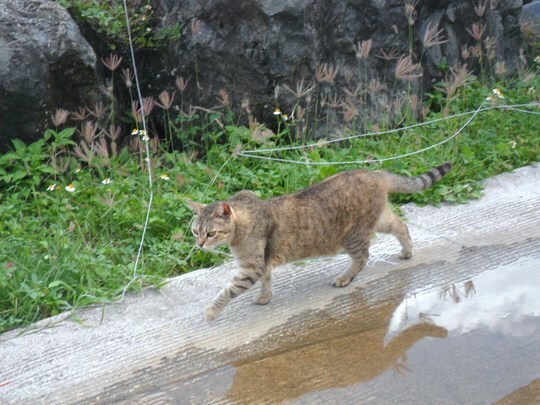 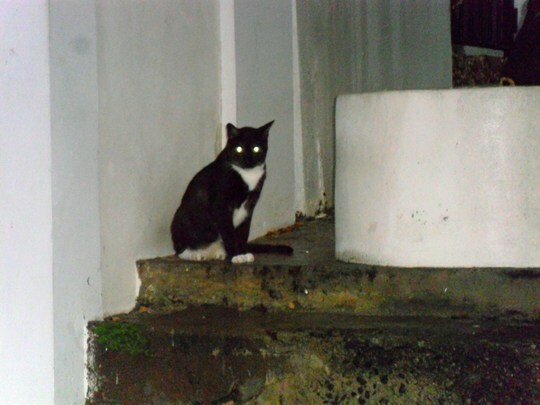 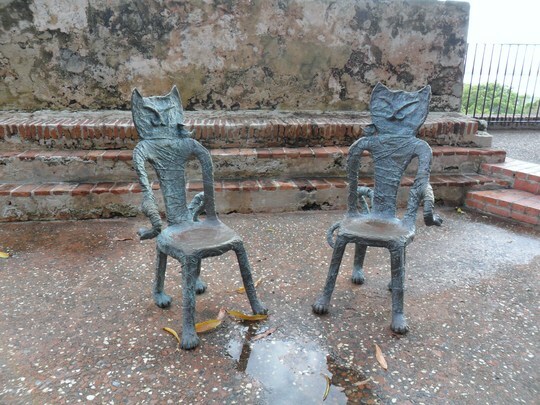 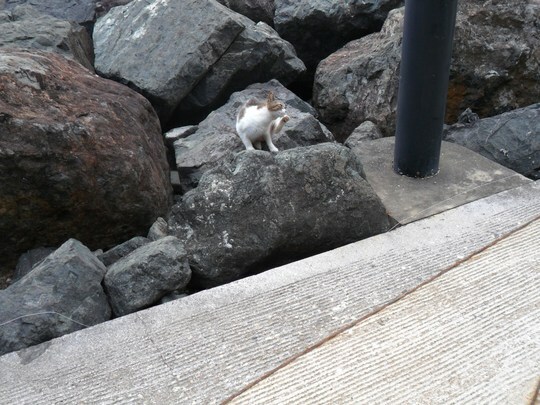 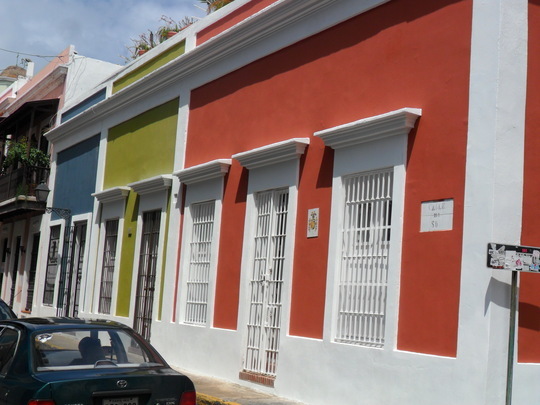 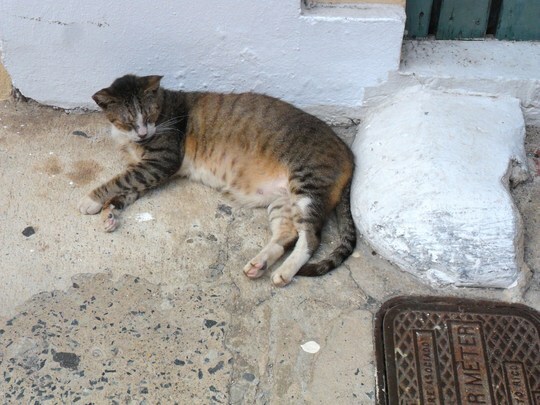 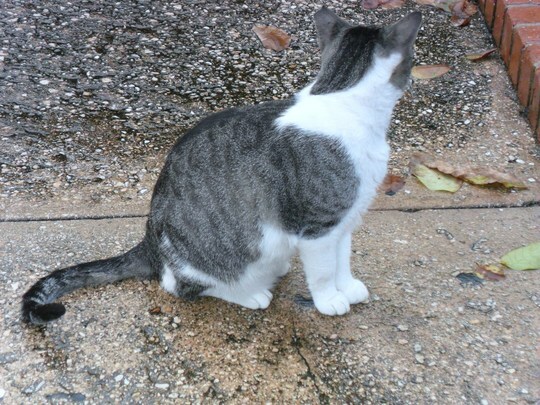 The Cats of Old San Juan. 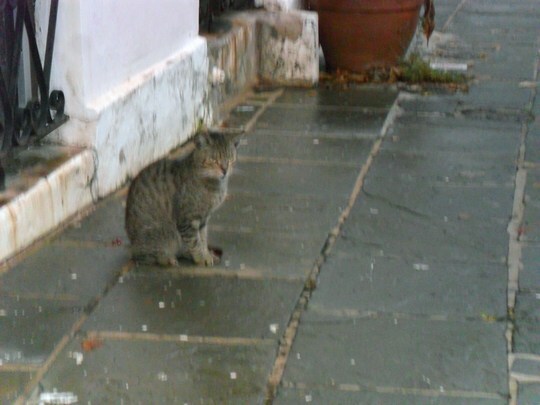 This cat was sitting outside the door of this house! 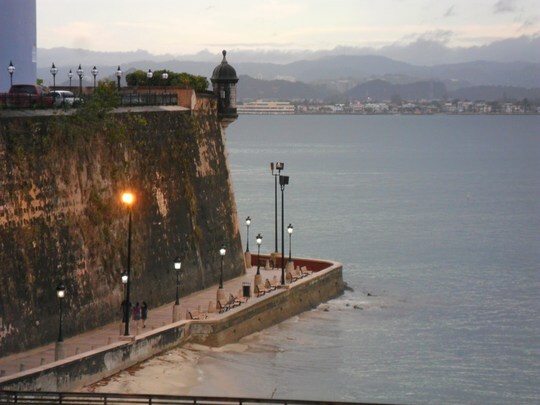 A historical tidbit: once El Morro (the fortress and walls that surround Old San Juan) was completed, it was virtually impenetrable, and fell only twice I believe, in the 1600s - once to the Dutch, and once to the British under Sir Francis Drake! 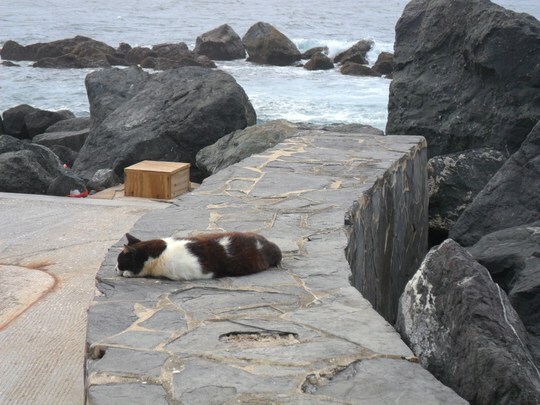 The British had to leave after only 10 weeks of occupation though, because everyone fell ill.
Good that someone cares about the cats.